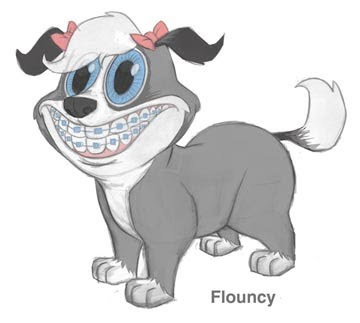 Visual Development for the TV show "Twisted Whiskers." The show is currently airing in France and will air on the BBC this spring. 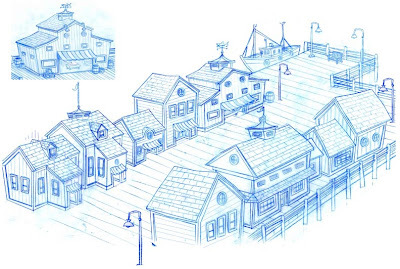 Here are a few characters that I designed early on, as well as layouts of various settings. 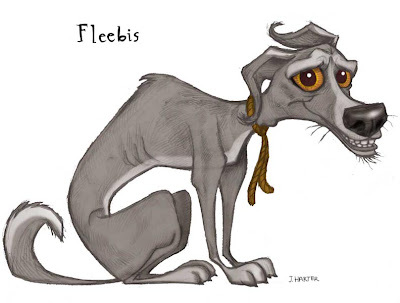 This is an early version of the character Fleebis. My favorite character, Broken Bear. 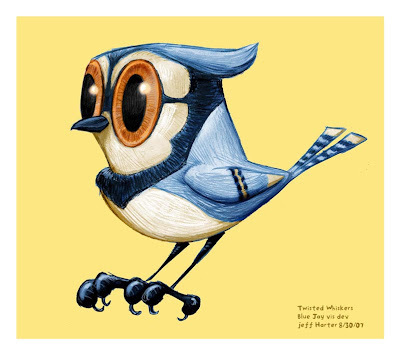 Ird the Bird makes an appearance in every episode. Preliminary turn of smidgeon, the mouse. This is Claude, one of the few humans in the show (above). You only ever see him from the neck down. 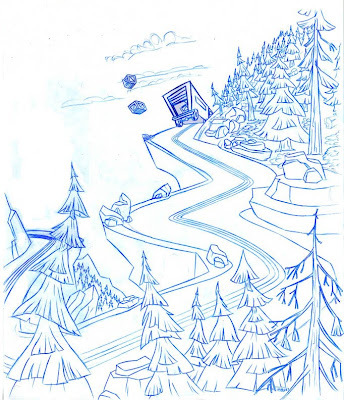 A winding mountain road (above.) 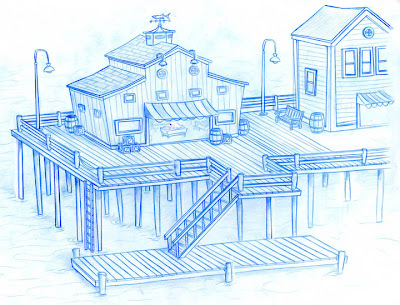 Below are exterior and interior designs for a fish market. 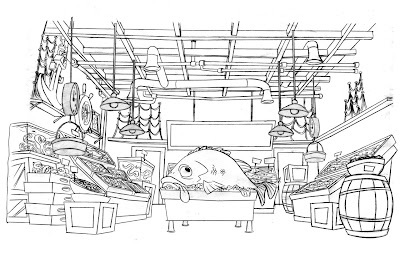 A random lobster that appears in the fish market. So much new stuff. Great work Jeff. Thanks Dorota and John. We hope to get the show on the air in the U.S. We'll see. the bear is so AWESOME! LOL funny! thanks for the great post! Am guessing you are a massive fan of Stephen King and the Dark Tower series... have many picked up on it? Thanks Jay, The bear is funny. This character sounds a bit like Tom Brokaw in the show. Hey Carl, I do like Stephan King. That guy is a writing machine and I think he has influenced just about everyone living in the past 30 or so years. As far as him influencing me, sure. Although probably more on a subconscious level, as much as Tex Avery, Chevy Chase, or Bill Waterson has too, I suppose. Loved the movies the Shining and Misery. Loved Stand By Me. Think the last books I read were by King were Cujo, Fire Starter, or maybe it was Christine. I can't remember... it's been while. Tried to read the Stand but never finished. I'll have to read the Dark Tower series to know what you mean though! 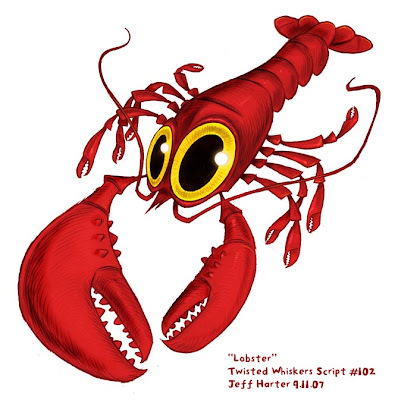 ;) I LOVE your lobster; how cute to stumble upon a crimson crustacean. 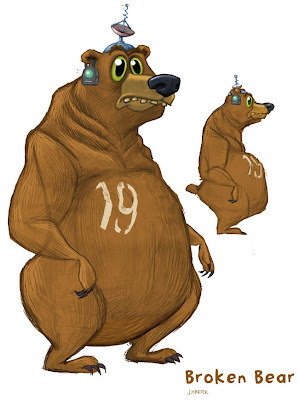 Note the number on the bears belly.